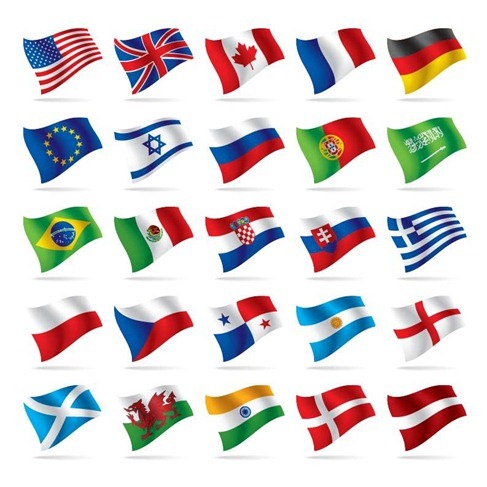 World National Flag Vectors | Free Vector Graphics | All Free Web Resources for Designer - Web Design Hot! World national flag vector set, includes a eps file. This entry was posted on Wednesday, February 3rd, 2010 at 3:38 am and is filed under Free Vector Graphics . You can follow any responses to this entry through the RSS 2.0 feed. You can leave a response, or trackback from your own site. Useful..for every kind of site where you need a choice of language for examples. I like this vector illustrations. So good! Hi These flags are amazing, do you have any objection to them being used to show language variations on some retail packaging? ?